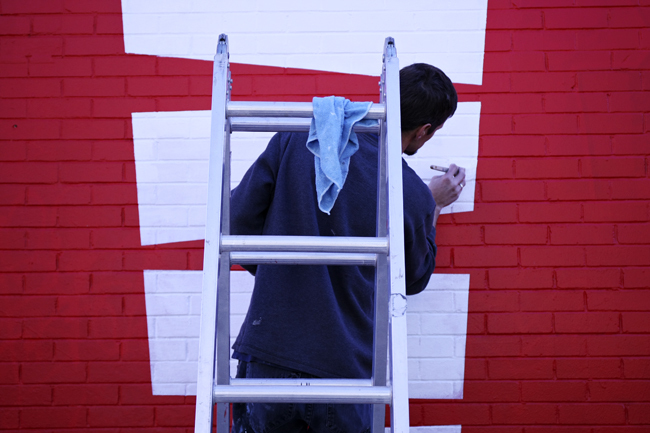 Shawn Brozowski paints the Verts logo on the side of the restaurant on Friday afternoon. 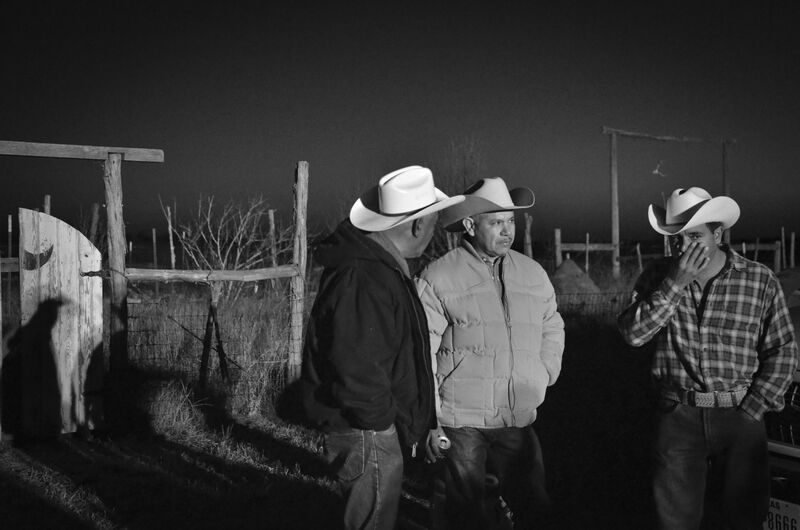 Three men drink beer on the outskirts of an annual festival in Creedmor, TX. The festival was started by immigrants from Zacotecas, Mexico to celebrate El Santo Nino.